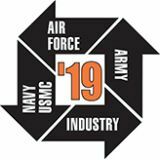 Companies in the SIMULATION, TRAINING, and SUPPORT SERVICES INDUSTRY are now represented through membership in the National Training and Simulation Association (NTSA), an affiliate of the National Defense Industrial Association (NDIA). NTSA provides the training, simulation, related support systems and training services industries a focused, formal organization to represent and promote their business interests in the market place. The Association provides a forum to communicate the full capability and broad characteristics of all of the elements of training systems and services to include associated support services. Founded in 1988 as a non-profit corporation, the Association fosters communication between the training agencies regarding requirements, procurement issues and policies. An important aim of NTSA is to see that all aspects of training systems development and training services requirements are highlighted as independent and important "line items" in the overall planning, programming, budgeting and acquisition process.